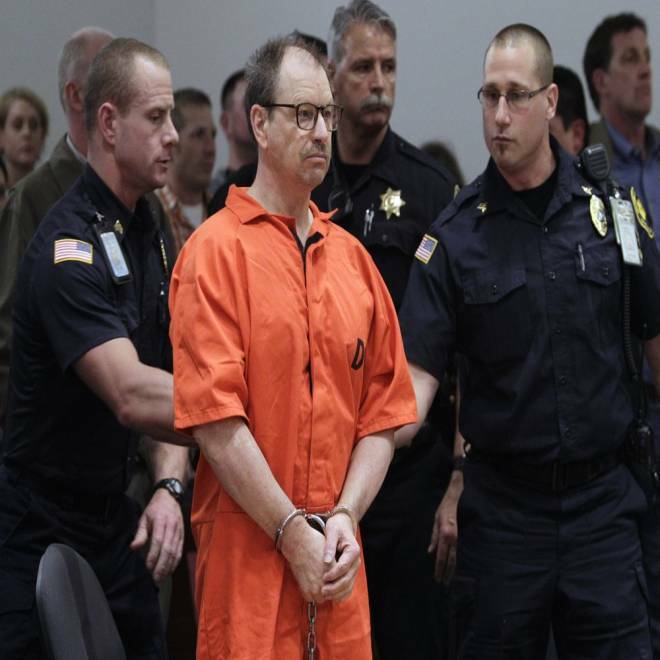 The Green River Killer, Gary Ridgway, after his arraignment in Kent, Wash., last year on murder charges in the 1982 death of Rebecca "Becky" Marrero. Under a 2003 plea deal, he was spared the death penalty in exchange for confessing to all of the murders linked to him at that time or any that were later discovered. Ridgway, who is considered the nation's most prolific serial killer, was dubbed the Green River Killer because the bodies of several of his victims in the early 1980s were found in or near the river, which runs through south King County. He is serving life in prison without the possibility of parole at Washington State Penitentiary in Walla Walla. Ridgway told KOMO that investigators kept him in a van in 2003 when he led them to sites where he had dumped victims. He said that if he had been able to leave the vehicle, he would have been able to lead them to bodies more effectively. King County sheriff's Sgt. Katie Larson, who participated in the years-long investigation, said Ridgway was a narcissist and sociopath whose statements shouldn't be taken at face value. "Everything Ridgway's saying we've heard before time and time and time again," she said. "We've been in contact with Ridgway numerous times over the years since 2003." Authorities have recovered the remains of 42 of Ridgway's victims, Larson said. She said other victims' bodies are "not recoverable." In some cases, she said, there had been construction at the sites where the bodies were left. "We're not going to tear down buildings," Larson said. Don Donohoe, a spokesman for the King County prosecutor's office, said that Ridgway wasn't trustworthy and that his comments about more bodies appear to be an attempt to get attention.